The Fifth European Space Policy Workshop "Space Science and Exploration" took place at the Katholieke Universiteit of Leuven on 30 September 2004 in the Convent of Chièvres of the Great Beguinage. It was supported by the European Space Agency, the European Commission, the Belgian Federal Public Planning Service for Science Policy, and EADS-Space. The organizers would like to extend thanks to all these organizations, but particularly to ESA's Science Directorate for their close cooperation. The Workshop lasted a full day and was comprised of three sessions. Prof. Dr Marc Vervenne, Vice-Rector of KU Leuventhe Leuven University, welcomed the Workshop participants on behalf of the University mentioning that he was particularly pleased that it took place at the historic BeguinageBegijnhof which dates back to the beginning of the 13th century. The European Space Policy Workshops series has now established itself as a genuine process contributing to European space policy and the University is honoured to be part of this process. Prof. Vervenne was pleased to note that KU Leuven has recently seen the creation of , the Workshops had led to the creation of the Interdisciplinary Centre for Space Studies (ICSS), which joins the existing expertise and achievements of the various Leuven departments, institutes and laboratories.with the enthusiastic support of the University. Belgian High Representative for Space Policy Ambassador Eric Beka addressed the participants on behalf of Mr Marc Verwilghen, Belgian Minister of Economy, Energy, Foreign Trade and Science Policy. Mr Beka stressed that the space policy workshops series has been a success due to the growing importance of space policy for the European Union. He confirmed that Belgium and its Regions are determined to continue and increase their involvement in European space projects. He reminded the participants that one of the prime missions of space science were to meet the craving for knowledge, to discover origins of life and wished success to the Workshop on behalf of Mr Marc Verwilghen. 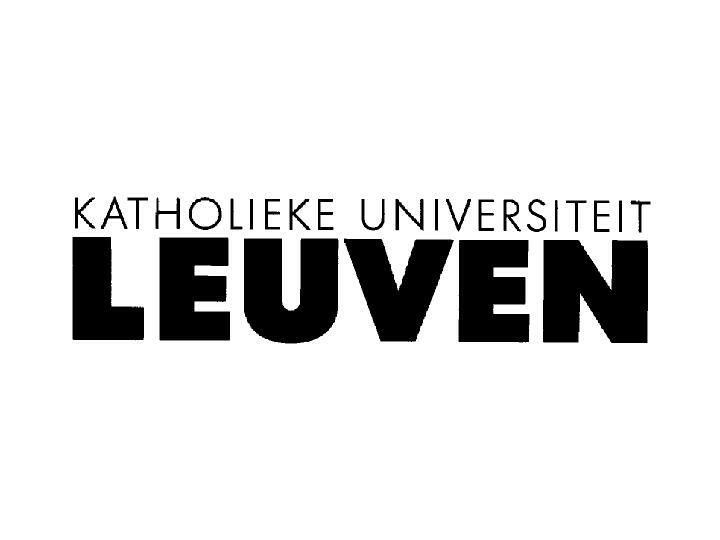 Prof. Waelkens is the Academic Director of the newly created Interdisciplinary Centre for Space Studies at KU Leuventhe University of Leuven. Prof. Waelkens introduced the Interdisciplinary Centre for Space Studies and pointed out that space has long been present in the University in various fields of research. The main objectives of idea of ICSS are to coordinate and cluster research activities within KU Leuven to achieve and/or build upon critical mass, to combine existing academic strengths at KU Leuven and reach out to collaborative partners, to build a strong educational and research programme (Masters' and PhD programmes in space studies), to is to learn from each other and to carry out joint projects. Based on a sufficient critical mass of space expertise and projects undertaken by various University institutions and laboratories ICSS is a centre a space expertise which will follow and assist in shaping Belgian, European and international space policy and projects and to act as catalyst for research-driven demands of industry.also have a strong relationship to industry. Prof. Waelkens also mentioned that the University was undergoing the major reform to respond to the Bologne restructuring of higher education and therefore an introduction of the Master's programme in space studies would be timely and part of the process. A PhD programme should also be provided. Prof. Waelkens mentioned that the research themes would be defined in harmony with the European policy and industry development and priorities. Prof. Bonnet is Director of the International Space Science Institute in Berne and President of COSPAR. He welcomed an opportunity to speak at the Workshop in light of numerous developments in space policy. Since space science is a shared competence between ESA and member states which leads to complementarities, on the one hand, but to competition between domestic programmes and contributions to ESA, on the other, his concern was that the funding of any new initiative may erode the budget for space science. Fighting over money should be avoided. Despite the fact that Europe's space budget was much more modest than that of the US (€ 550 M in 2004 including ESA budget of € 370 M compared to NASA budget of $ 4 billion), Europe has managed to be number two in space in the past 20 years. Being number two is a big success thanks to original and excellent programmes, mature expertise, a balance between disciplines and missions, and effective management.
") but the financial burden is too high for the budgets that the politicians accept to grant to space research. Prof. Bonnet concluded that Europe can only be number two, keeping the number two position in the world would be challenging enough, provided it is number two by being nuimber one in a number of areas. Prof. Bonnet returned to Cosmic Vision, which is being developed currently at ESA and which should plan science and technology goals up to 2025. European scientists responded massively to provide inputs for the programme's elaboration in the fields of astronomy, solar system exploration, and fundamental physics. Prof. Bonnet pointed out that ESA Exploration and its Science Programme have been a remarkable achievement since 1970 but that today there was no assured continuity in the area of planetary exploration: solar system is the area where the US will strive for leadership, planetary exploration beyond Jupiter is not possible for Europe without cooperation with the US, which has the freedom to decide whether it wants to cooperate with Europe, ESA or just individuals. The Aurora programme is very challenging and interesting although with the focus on the human aspects and on the Moon and Mars, it is not sure at all that such challenging and visionary missions as there is a certain overlap withHuygens would ever have been selected in the frame of that programme. As to the new Commission, space will be dealt with by the Commissioner responsible for Enterprise and Industry. The move away from research needs to be evaluated, to ensure that a focus on science is built in the European Commission. The relationship between the two respective Commissioners is still to be finalized and explicated but it is clearly an area of concern. Alan Cooper is Expert to the EC on Space at the Directorate for Space and Transport in the EC DG for Research. Prior to his appointment as Expert to the Commission he spent the bulk of his career at key positions at BNSC. He referred to the recent White Paper on why a common EU space policy is necessary and suggested that the EU's more active role will give added encouragement to space, including to space science. In particular, Europe must in future be able to speak with one voice in negotiations. This is true for space science and exploration as for many other areas. Europe needs a clear strategy and a robust and adaptive exploration programme. Agreeing on a coherent programme is important for Europe to act from a position of strength. Mr Cooper mentioned recent efforts undertaken by other EU institutions. The European Parliament has been particularly concerned with such issues as the consequences of ISS for Europe, EU-US cooperation in space, Soyuz in Kourou, and European manned space flight access capability. The European Economic and Social Committee has expressed its views on how to maintain public interest in space. For the Commission's part, it has established a Wise Persons Group with a mandate to deliver a vision for space exploration. In terms of the new organization of the Commission, space and security-related industrial research will go to the Commissioner Enterprise and Industry. He is already available for discussion on space. It is significant that space is now important enough to be under negotiation when allocating portfolios to new Commissioners, and this is a good sign. Having a Vice-President interested in space is undoubtedly beneficial. Irrespective of persons and appointments within the Commission the FP7 Programme will remain the main instrument for managing and funding EU space activities. But there may be certain changes compared to FP6. The Commission we will shortly bedeveloping a virtual EU budget line for various space activities. Decisions which the EU makes on the FP7 financial perspectives will make a significant impact on the policies and programmes. In conclusion Mr Cooper mentioned that the first joint Space Council under the ESA-CEC Framework Agreement is scheduled for of November. It is a clear indication of momentum building behind space, which is welcomed by the Commission. Prof. Bignami is Chairman of the ESA Space Science Advisory Committee and Director of the Centre d'Etude Spatiale des Rayonnements in Toulouse. Prof. Bignami noted that European space scientists look to the EU for it to open an initiative towards research and basic research. Fifty-two European scientists and organizations have called for more attention to fundamental science and have signed a letter to the EU and published it in Science. Prof. Bignami recalled the recent meeting on Cosmic Vision in Paris, which attracted 400 scientists from all over Europe and produced fresh ideas from the best minds in Europe. In order to realize these ideas visibility is extremely important as well as a set of coherent steps for turning ideas into projects and developing a balanced programme. thorough consideration will help to determine what Europe needs in order to move from themes to a structured, balanced and sustainable Space Science Programme. The programme should include big missions led by Europe, medium-sized missions with more focused scientific goals, and flexible missions of opportunity possibly led by other agencies. Such a programme should be developed in close coordination with the EU. Prof. Bignami mentioned that when it comes to developing a coherent European space science policy all of Europe feels a lack of a representative body that speaks from the space science community in one voice. In USA there is a Research Council who decides and tells NASA what they want. And then NASA goes to Congress knowing what has been requested and asks for money. He supports very much the creation of a European Research Council which would give its recommendations and budget estimates to be requested from the EU. Dr Bo Andersen is Deputy Director General and Director for Space and Earth Sciences at the Norwegian Space Centre, which is responsible for space strategy in Norway. He confirmed that European space science was a success story. However, the success paradoxically has led to fewer funds for space science. There is a large and growing discrepancy in the ambitions of scientists and governments and their actually being able to realize those ambitions. European space industry is underfunded too. The big space countries in Europe have kept budgets at the same level or reduced them. The EU Green & White Papers call for increase of space funding. If one looks at the EU, one should remember that the EU currently accounts for only 4 per cent of European public space expenditure. The EU alone cannot become a new major financing body for space research overnight. 1. Europe should not embark on "exploration" or new human spaceflight programs before a significant increase of budget has been achieved. 2. Responsibilities for space in Europe must be determined now and done so clearly. There has been dilution of responsibility, which is harmful. 3. Without a strong programme in European science there will be no project of the continued dependence of the European community in this field. 4. Politicians should either come out and openly reduce the ambitions of European space activities or increase the budgets to allow their realisation. Dr Serge Plattard is Secretary General of the recently created European Space Policy Institute (ESPI) in Vienna. Space exploration is a challenge for Europe. Contrary to the US where decisions on space are taken at the highest level, space in Europe is dealt at a lower level. The space budget in Europe is also more modest than that of the United States. Therefore Europe has to define properly its goals, it has to be selective as to how to spend this money and with which partners to collaborate. In terms of choice of projects it is clear that the ISS and JSF models will not be working for exploration initiatives and thus are not acceptable for Europe. In terms of choice of partners Europe should make sure that if one partner fades, there should be others to work with and that the reduced role of a partner does not endanger the entire undertaking. It should be thus a system-oriented cooperation, not object-oriented. The US is a natural partner but there are also other possibilities, like India, China and Russia. Dr Plattard also provided some information on the newly created European Space Policy Institute of which he is Secretary General. The main objective of the Institute would be to prepare focused reports and concrete recommendations for European decision-makers. ESPI will work with a network of other space policy research bodies in Europe and will synthesise their output. In addition to the network ESPI will need a maximum of 12 experts in major sectors in space and transversal disciplines: space law, security, EU law, technology, economics. ESA and ASA are giving funds to ESPI. It is expected that national space agencies would second 1-2 people to work for the Institute. 1. Whether the recent change in allocation of the space portfolio from Commissioner for Research to Commissioner for Enterprise would strengthen, weaken or make no impact on European space science. 2. The attitude of Europe's scientific community towards ISS. 3. Who should be Europe's partners internationally. In reply to the first question Mr Cooper did not intend to say that space would be split. It will be managed especially via FP7. At present it is not exclusively managed by DG Research but by other DGs as well. Space is pervasive: it is research but also a tool to deliver services. It is best that all space matters will be handleds in one place, by a Commission Vice-President. Prof. Bonnet stated that the Commission has not paid enough attention to space science in the past. He noted that even during the Green Paper/White Paper debate it was clear that the Commission sometimes forgot that space also included science and research. Research Commissioner Busquin in June 2003 stated that the number of space scientists in Europe should reach 500 000 and the budget should increase by a factor of two and so should the budget. Hopefully the joint ESA/EU Council will take the right decisions in this direction. The new Research Commissioner should be responsible for space science matters, though, not the Enterprise Commissioner. Speaking in reply to the second question (on ISS) Prof. Bignami mentioned that there was a special Advisory Board on ISS at the ESA Science Directorate. Priorities are clear: microgravity environment is an important tool for performing scientific experiments. However, microgravity can be created artificially without flying into space. ISS was not created by the scientific community for the scientific community, so from the point of view of this scientific community it does not have high importance. Dr Andersen added that ISS is not a scientific station, it is a site. Certain things can be done there but there are certain things one cannot do because it was not equipped for them. The pressure from industry in the US was very strong for the building of ISS, much less so now for the utilization as this will not give large contracts to industry. Europe acknowledges that it is the only existing human site in space, not more, not less. European utilization could grow because of the reduced US priority, but this requires extra funding. Prof. Bonnet mentioned that ISS, was a failure from a scientific point of view did not hold its promises as far as the science of materials was concerned so it should be viewed only as exploration, focusing on human and life sciences as a test bed for the future exploration activities, not science, and budgeted for accordingly. Prof. Southwood mentioned that ESA has always pointed out in the debate for funding that ISS was the only site in space. However, it brings as yet very little in terms of scientific results. Before blaming the US one should look how much Europe spent on ISS: only 8 per cent of all ISS funding. Following a long debate about Europe's participation it went in with a very low level of participation and now it is not happy with the results. Mr Martin Zell, Head of Utilization Department at ESA Directorate for Human Flights, pointed out that it was a matter of contribution and funding and motivation. European elements are ready and now ESA is about to become more fully involved. From ESA's standpoint, the scientific community has been positive. ESA has 700 proposals from life sciences for ISS. NASA has changed its attitude towards ISS but ESA will continue its experiments on ISS. Peter Ahlf representing NASA mentioned that NASA has reduced the scope of its ISS planning, which creates new opportunities for Europe. It is up to Europe whether it is capable to seize this "golden opportunity". In reply to the third question (international cooperation) Prof. Bonnet acknowledged that the world Europe has been ignoring an impressive Japanese programme and an even more impressive Chinese programme.. These two have to be looked upon with great interest. Europe should cooperate more with these countries. China, probably because of its political structure is not a democratic country but, on the other hand,, is a visionary country. These are ingredients for success: they have a vision and centralization to realise it. Attaché Olivier Lemaitre, Belgian High Representation for Space Policy, stated that it was obvious that countries are building up in 10-15 years a critical mass. It would be a mistake not to have the earliest possible moment to deal with them on a high scale. China is in the long-term planning of ESA. Europe should also rely on the political will of its Member States, not only on ESA. Peter Ahlf is the Director of the Mission Operations and Integration Office within the Exploration Systems Mission Directorate at NASA Headquarters. · Lunar exploration in incremental steps: first robotic missions, delivery of resources on the moon, characterising missions. US will have 1 robotic mission in 2008, followed by up to one robotic mission per year thereafter, with the aim that in 2015 - 2020 man will return to the moon. · Mars exploration. The US plans to have 3 robots on Mars (currently 2), 1 lander, 2 orbiters. Human missions may be possible in 2020 - 2025 but the date cannot be set more precisely today. · Exploration of the outer moons. There are several programmes under way including Europe's and the US mutual anticipation of landing on Titan. Advanced follow-on missions (e.g. Europa submarines, Titan balloons) are likely after 2020. · The presented "spiral" concept for activity-led successive cycles in an overall exploration concept. As regards the budget for the programme a huge increase in funding is not possible today in the US. The programme should therefore be staged, realistic and affordable. In 2008 the US plans a flight test of CEV following the retirement of the shuttle. This requires Congress to re-direct NASA budget resources. On international cooperation Mr Ahlf said that a concept for it is in formulation. NASA has held bilateral discussions during major events such as the recent air show, and will host an international workshop on 16-18 November in Washington, D.C. It is important that ESA decides what it wants to do in space according to Europe's own goals and capabilities rather than following NASA's decisions. Mr Ahlf expressed concern over sustainability: The US needs a long-term programme, which does not change with each new president. To achieve this goal, it must engage more with broader communities. He noted that European programmes have been relatively steady compared to US programmes and that the US programme must be sustainable in order to succeed. Mr Ahlf was pleased to mention that applications for engineering professions have recently gone up 30 per cent in the US and that this was partly due to growing interest in space since president Bush's announcement. Daniel Sacotte is Director of ESA Exploration Programme and will become Director of the newly created ESA Directorate of Human Space Flight, Microgravity and Exploration on 1 November 2004. He began his presentation with a statement that ESA has definitely decided to go for exploration. Such programmes as Mars Express, Venus Express, Rosetta are proof of that. Responding to earlier remarks, he argued that the ISS is not merely a show. Europe's 8 per cent contribution to that huge programme was not little. ESA is not proposing a programme phasing out ISS but intends to continue its involvement. Experience with ISS has given Europe certain capabilities. Europe has developed the ATV, which can be re-directed to build on work with space station. As far as man in space is concerned more generally, ESA has always pursued this activity and has a team of European astronauts. ESA supports the idea of sending man on the Moon and Mars, but human flights have to be preceded by robotic missions. He also noted that "Man in space" was totally dependent on Soyuz & Shuttle. ESA will be developing activities in Kourou to develop autonomous capabilities but it will not be an easy task. Europe is, moreover, interested in exploration in its widest sense. ESA has new plans for projects which should show presence of life in the Universe. Mr Sacotte believes that space science and exploration have to join together to realize a range of goals. Mr Sacotte mentioned that the European Space Programme will be developed in the near future, and it will include 1) Enabling activities, 2) Utilitarian activities and 3) Inspirational activities (science & exploration). The main European priorities for space are European security, telecommunications and exploration. As far as the budget is concerned ESA will allocate € 50 M for ten activities per year and € 500 M to € 1 Bln for a long-term plan of 5 years. Dr Ryzenko is Secretary of the Inter-Ministerial Group for Space Affairs in Poland. He is responsible for development of national space policy and coordination of activities of the Polish Space Office. USA: although their resources devoted to space overwhelm all others and they have technological superiority in a number of areas, the US avoids legally binding guarantees of commitment. Nor do they guarantee stability of programme goals, and US export control regulations may hinder efficiency. Europe's influence in a cooperative project with the US may also be limited if the level of invested resources is considerably lower. As far as human space exploration is concerned the US is probably the only actor capable of investing sufficient resources. Russia: it has a lot of expertise but limited resources and a changing political environment makes it a difficult partner. Japan: it has a good record of fulfilling its commitments; however, resources allocated for space are rather limited and Japan will need some years before it can undertake long-term technically complex projects with Europe. China: even more than Japan, China shows apparent commitment to space activities. However, the level of technical expertise and technology transfer may be issues. Dr Ryzenko suggested that it may be helpful to develop a live, non-binding document, an International Agenda for Space Exploration, as a coordinated roadmap of international exploration activities, to encourage communication between potential partners, identify potential synergies, facilitate coordination of programmes and long-term strategies. Speaking of some problems of the JSF and ISS models for Europe, such as lack of sufficient influence on planning and implementation of the programme and imbalance in the sharing of benefits, Dr Ryzenko proposed to separate the budget line for European contractors and to develop a weighting factor reflecting the hi-tech value of contracts. The ATV-derived transportation systems will be critical for Europe in contributing to exploration and it is important to determine possible models for cooperation on ATV with governments, industry, commercial organizations and future users. In conclusion Dr Ryzenko pointed out that in order to enjoy the full benefits of cooperation one should set out clearly one's own goals, determine the level and scale of own and partners' responsibilities, and develop flexible and diverse mechanisms to manage cooperation. Prof. Southwood is ESA Director of Science Programmes. He began his presentation with a statement that education and communication are commonly put together. However, they are not connected directly and are quite different from one another. Education is perceived to contribute to the common weal and educators have largely the trust of the general public but they have rather low social status, and education has always been underfunded. Only dedicated people remain in this field. In order to become part of an education system, space has to get into the curriculum, use a low-cost approach and use the existing focused market. Communication, on the other hand, is a field that is well funded, its employees have a high social status, although are sometimes looked upon with suspicion by the general public. It is important to find and pay for the right communicator and to know exactly what you want to achieve. It is equally important to determine your audience and the way you intend to reach it. As far as general public is concerned (the "man-in-the-street"), before the year 2001, the failure of Ariane 501 and the success of Smart 1 have grabbed public imagination more than any other space-related events. Now however, Europe's Mars Express has surpassed in the public interest in space and caused a sea change. Missions to the Moon, a comet and Saturn and Titan have received high interest in Mars Express' wake. It is critical for space community to have political support and therefore constant and efficient communication with parliaments and governments on the national, European and regional level. In the US an understanding that fundamental science underpinned a technical society and needed to be built into the political system was brought in by Vannevar Bush in the late 1940s (not related to the current US president). Science does not have a similarly embedding in the policy base in Europe and therefore it has to make sure it communicates with decision-makers more efficiently in the future. Speaking about the industry audience, Prof. Southwood noted that it often considers the ESA space science as a support function, which will always be at its service. In fact space science research pushes industry but one has to realize that the same industry benefits from the innovation and inventions that result. In philosophical terms Science is necessary and not contingent. It is technology that is contingent. In 1998 - 2004 ESA introduced Communication Policy within its Science Programme Directorate with a target to communicate with target no 1 above (man-in-the-street). It has been rather successful and often original as evidenced by sharply changed popular awareness of ESA Now ESA is considering a new Communication Programme andadvice might be given which target should now be addressed. Dr Rolf Densing is Head of ESA Affairs at the German Aerospace Centre and member of the German delegation to ESA Council. Speaking on how to raise public interest to space he mentioned that more than 100,000 people visited the DLR Cologne space centre on an open week-end recently. Models of planetary exploration vehicles and the European Astronauts Centre attracted particular attention and are core competencies for the intended exploration programme. Raising public interest in space and getting public money are linked and vital, but the space community is at the same time accountable and responsible to the public. Dr Densing gave the example of ISS, which was sold to the German public and politicians but has not yet brought the results, which were expected. Dr Densing, on the other hand, questioned whether now was the time to embark on any new multi-billion-euro programmes, i.e. before ISS has been made into a success. Because Germany is a heavy contributor to ISS that success is essential to get the public and politicians into the right state of mind to commit to new spending. The same applies more broadly to other multi-billion-euro-infrastructure-projects already underway. Once success and financial control over these infrastructure programmes has been achieved the space community can start thinking of new programmes. In any case, German scientists an industry stand ready to contribute their traditional expertise in Planetary- and Insitu-Research, in Robotics, in Aerospace Medicine as well as in Mission Operations. Dr Parker is Director of Space Science at the British National Space Centre, appointed by the UK's funding agency for science, the Particle Physics and Astronomy Research Council. He spoke about the UK experience in raising public support for space. In the UK, space science is not a high priority political issue. Nevertheless, space could capture the public imagination, and not necessarily only by sending man into space. People can relate to robotic missions too, as the relationship with the public is both on an analytical and a more intuitive level. Robots can be exciting as seen in the examples of Spirit/ Opportunity and Beagle. · 78 per cent of respondents agreed Aurora would be interesting but wanted to know more about it before any money is spent on that. · Give a human face to space programmes: Colin Pillinger in the UK was a good example of a face for the Beagle mission. · For politicians: reclaim space on the political agenda, space is now there in the public mind. 1. Whether interest to Beagle in the UK was so high because of a national component in it. 2. Whether building a permanent base on the Moon has become a commitment within the US space exploration programme or is only viewed as a support exercise that forwards a Mars landing. In reply to the first question Dr Wilsdon noted that there were many reasons for interest in the Beagle in the UK, not least of them being beating the US. Prof. Bignami thanked strategists from the UK but noted that one could not do scientific planning based on opinion polls: this can lead to disasters and is exactly the "Berlusconian way". The science community can set scientific goals itself and has been doing it successfully. In reply to the second question Mr Ahlf pointed out that the US space exploration vision clearly states that the moon is the next step. NASA has seen indications that Congress supports the idea. The journey through the solar system is to be accomplished in several steps. The Moon is the first step and is very important for the next. Prof. Wouters is Director of the Institute for International Law at KU K.U.Leuven and one of the co-organizers of the Workshops series. In his concluding remarks Prof. Wouters recounted that being Number Two in space is a great achievement for Europe, particularly if one we takes into account that Europe has "intellectual parity" with the US and has a leading position in certain areas of science and exploration. Speaking about the challenges, which include shortage of funding, an ageing scientific population and insufficient will and coordination among member states, Prof. Wouters concluded that Europe should continue to work in the direction of developing its own space vision within a European Space Programme. It should also become more definite about its real budget requirements and determine and present concrete figures to the politicians. It is necessary for Europe to clarify responsibilities among institutions and to lead and invest more in international cooperation. It is clear that the European space community should communicate and educate to assure interest in space studies among younger generations and to also inspire the public so justifying higher public funding. 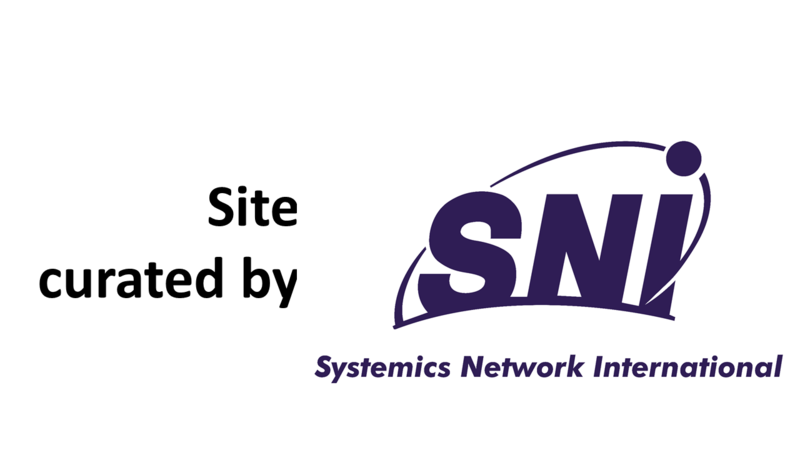 Dr Madders is Managing Partner of Systemics Network International, Brussels, and one of the co-organizers of the Workshops series. The European Space Policy Workshops series was launched in 2002, when no genuine space policy existed in Europe but there was evidence that politicians were at last finding will to develop such a policy. In 2002, it was clear that some changes were about to take place in ESA/EU relations: both wanted to find a joint solution but did not know how to go about it. 2002 was also the year when the US National Security Strategy, with its doctrine of space dominance, and all that that entails of Europe's future, was issued, while major decisions on Galileo and GMES were taken in Europe. The Workshops organizers originally intended to provide a forum for an exchange of views and to assure brainstorming over a programme of four Workshops. He gave an overview of the workshops from September 2002 till February 2004. They received the support and participation of the European Space Agency, the European Commission, the Belgian Federal Public Planning Service for Science PolicyBelgian government, Eumetsat, BNSC, EADS-Space and set in motion a process of dialogue with several communities. Dr Madders explained that the current, 5th Workshop on Space Science and Exploration, responds to the demands to continue the Workshop series, and there are suggestions which woud take the series at least up to an eighteenth workshop! The organizers were thus very pleased that the concept for workshops series has been proven. In conclusion Dr Madders referred to informal discussions during the present workshop on how to continue its discussion. It was proposed to create a Reflection Cell on Space Science and Exploration which aims at a short publication, and includeincluding recommendations.